EXPERIENCE THE STARS OF LIONSGATE TV’S NASHVILLE LIVE! In June of 2017, the stars of Lionsgate’s fan favorite TV series Nashville took the stage at London’s famed Royal Albert Hall, bringing the songs of the show to life. Eagle Rock Entertainment will deliver this concert on DVD and digital formats when Nashville In Concert At The Royal Albert Hall is released on April 27. Charles Esten, Clare Bowen, Sam Palladio, Jonathan Jackson, and Chris Carmack performed a mix of songs made famous by their characters on the TV series, as well as personal favorites. In addition to their solo performances, the cast teamed up to recreate some of Nashville’s classic collaborations. 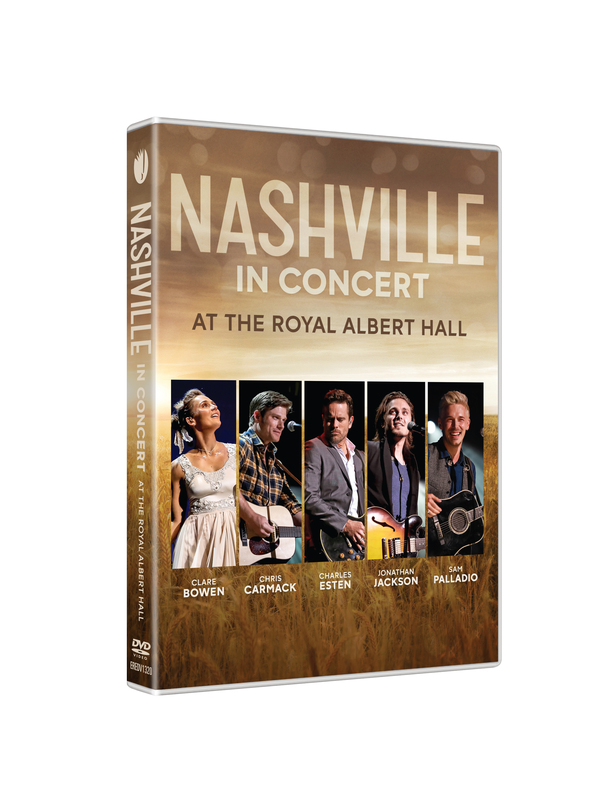 Enhanced with bonus featurette “Nashville In London” and “The Songs Of Nashville In Concert,” in which the performers discuss the songs they sing live, Nashville In Concert At The Royal Albert Hall is the ultimate fan experience. Ravenous in their support, Nashville’s passionate fan base led to the show’s record-breaking debut on CMT after its four season run on ABC. Now in its culminating season on CMT, the series is celebrated on Nashville In Concert At The Royal Albert Hall.